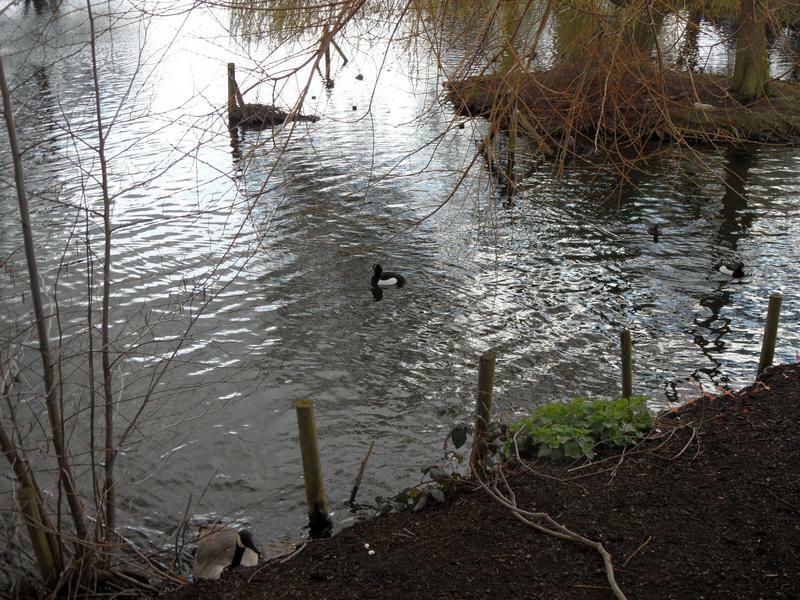 easy due to plant borders separating the lake from the path. park. The park is closed at night. 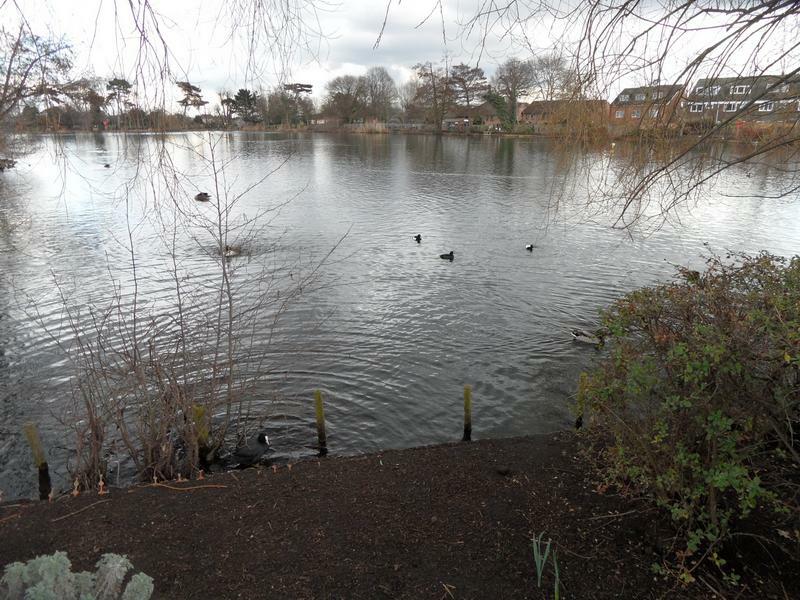 Note that South Norwood Country Park is a different park, a couple of miles away. various of manned amenities (unlike most other parks). 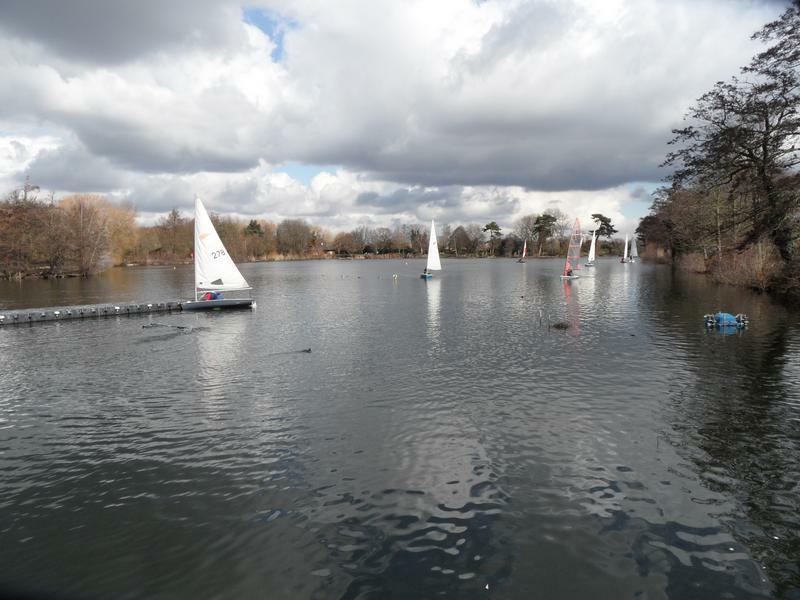 18th March 2012, wide view of South Norwood Lake, with the yacht club out in force. 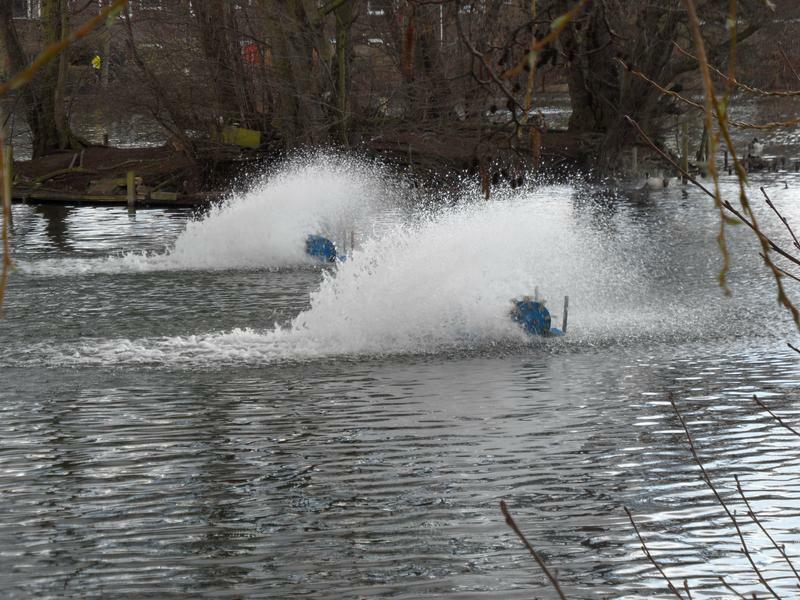 Very few water fowl. 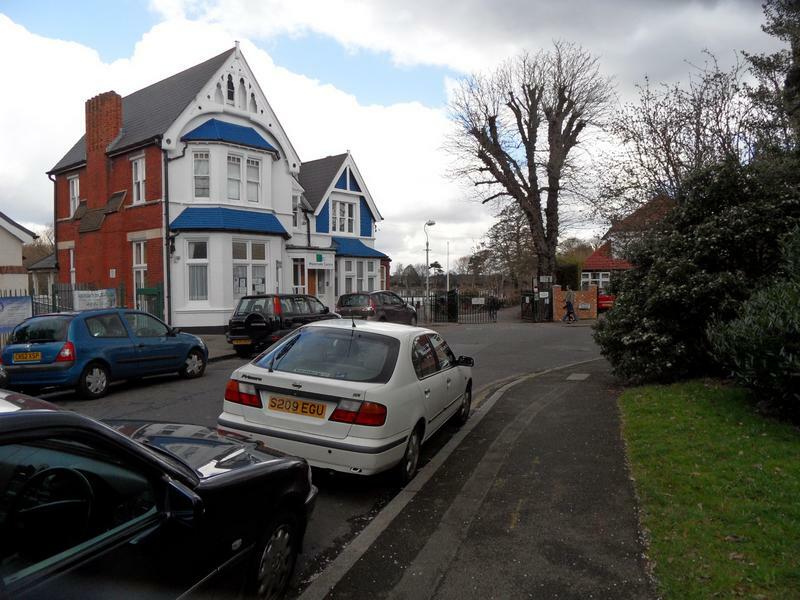 The main entrace gate in Woodvale Avenue, and the yacht club house. 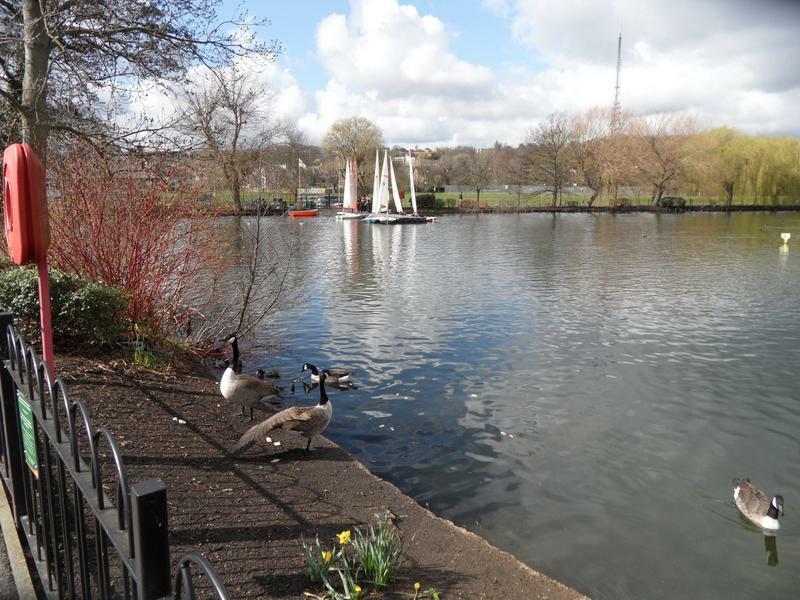 The yachts have returned to their quay, around the lake we find ducks and geese on the banks, Canada Geese here. 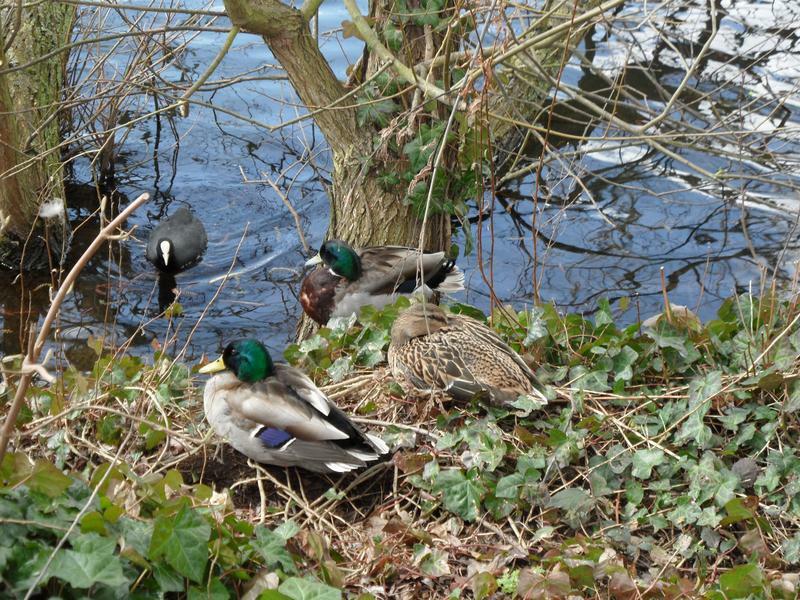 Three Mallards, the female perhaps sitting on a nest, the Coot got shooed away when it got too close. 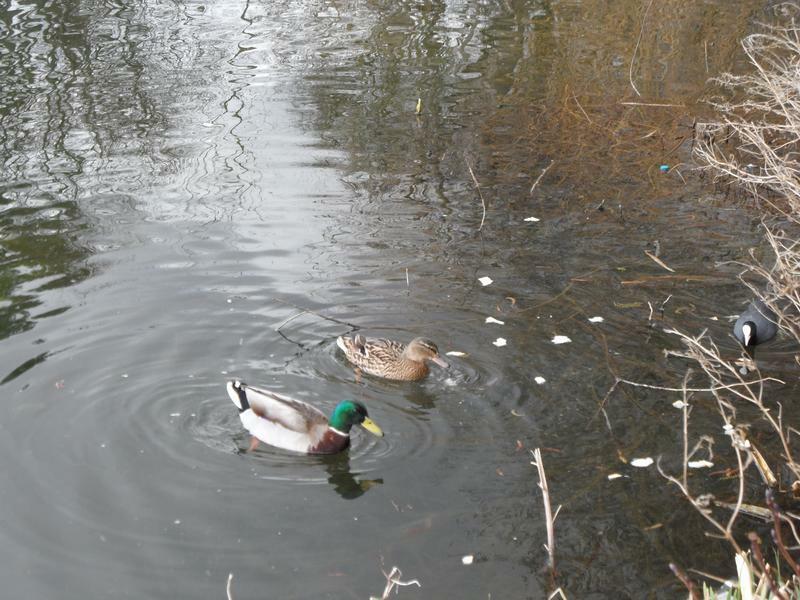 Another pair of Mallards at the far end of the lake. 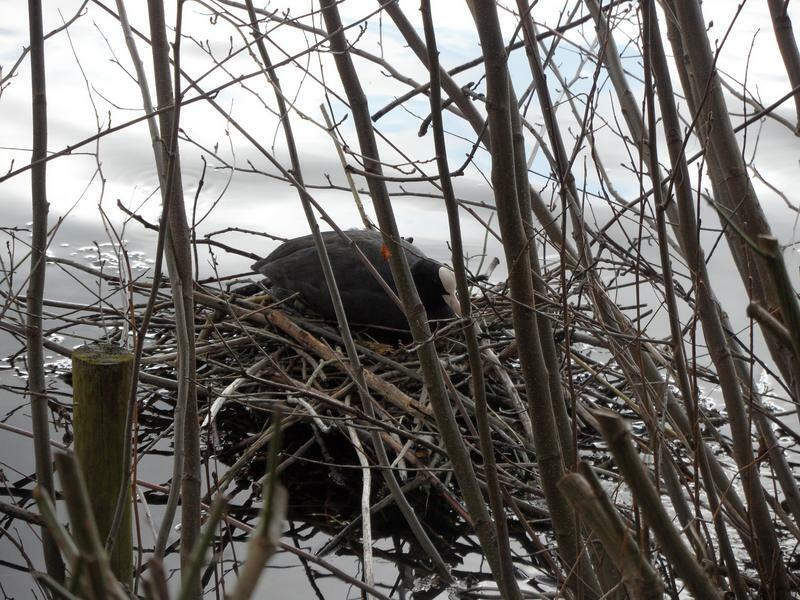 The nesting sites are all already occupied, a Coot here. 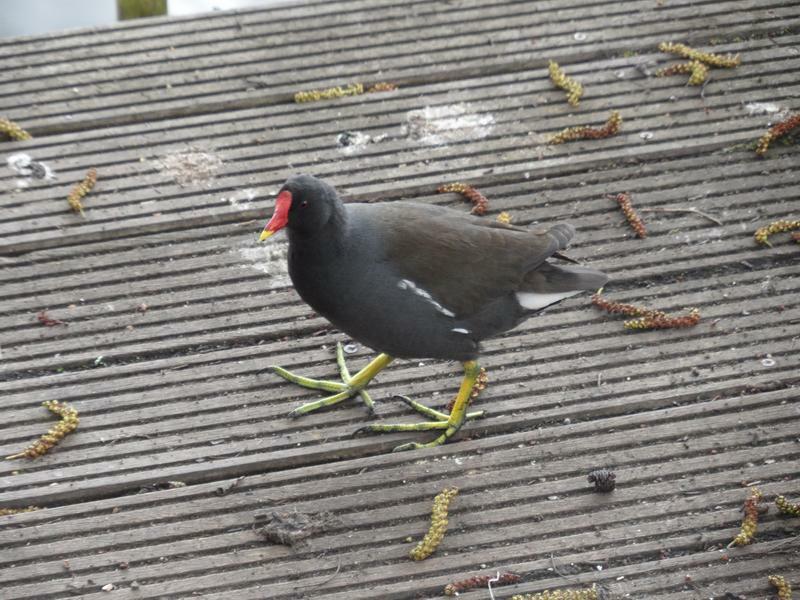 A Moorhen on one of the fishing jetties. Tufted Ducks near the small island. expects to see running in the hot summer, not the cold winter. 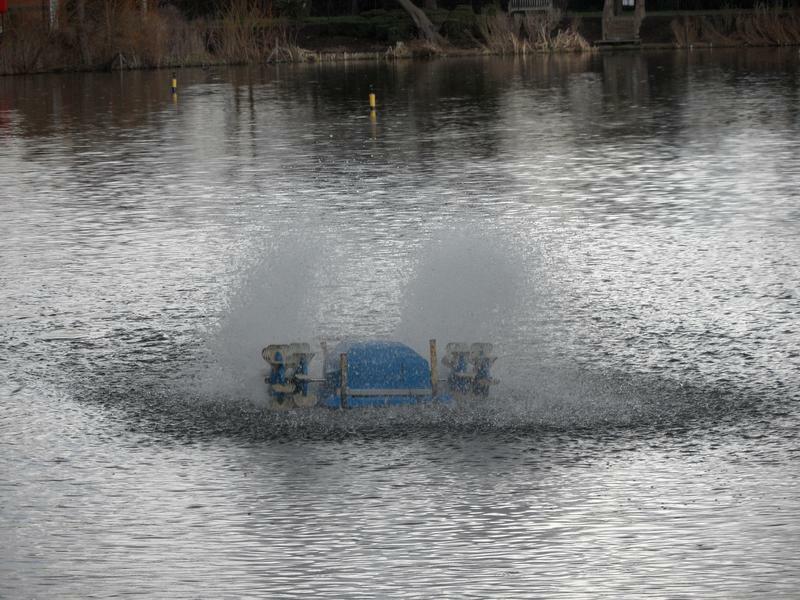 Another view of a 'splashing' machine, looks like a small paddle boat upturned. Coots by the lake edge. 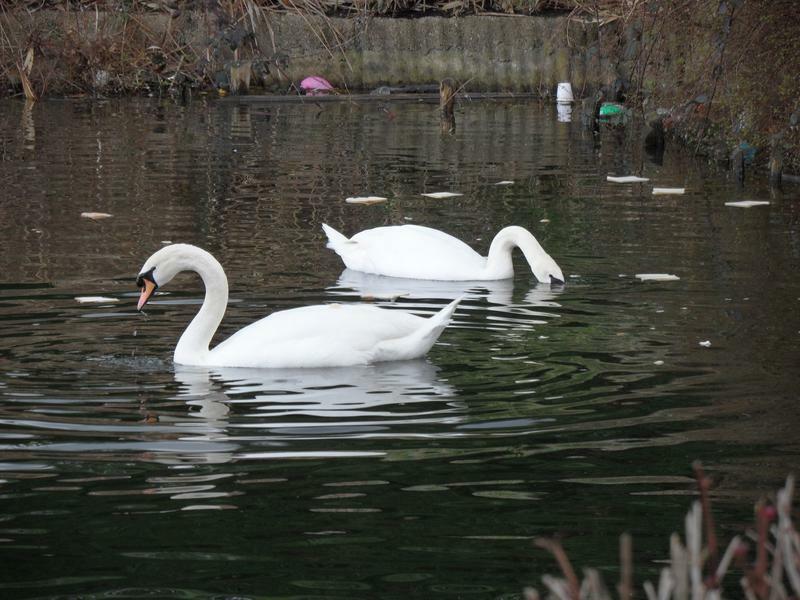 And there are a pair of swans on this lake as well.